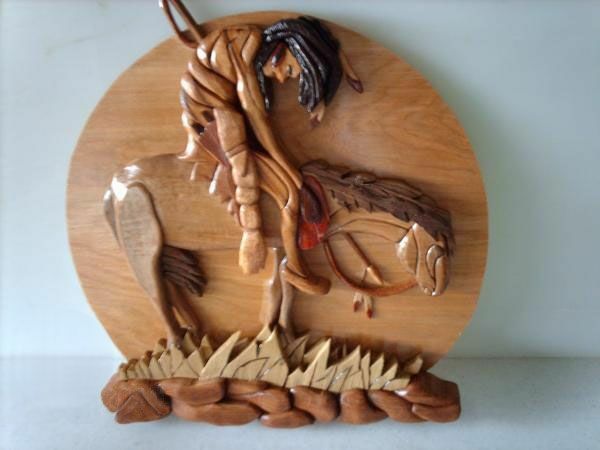 An Intarsia wall hanging depicting my version of the old sculptor of "The End of the Trail". It is made from many different kinds of woods. It is approx. 12 1/2 " across. It has a wall hanger on the back.